Living Well Sefton can support you on a one-to-one basis with a broad range of issues. Ever thought it was time to change how you live in order to improve your health? Living a healthy life doesn’t mean making huge alterations. But making a change can make you feel good about yourself.Living Well Sefton is a FREE service with a focus on supporting people with issues that may be affecting their health and wellbeing. 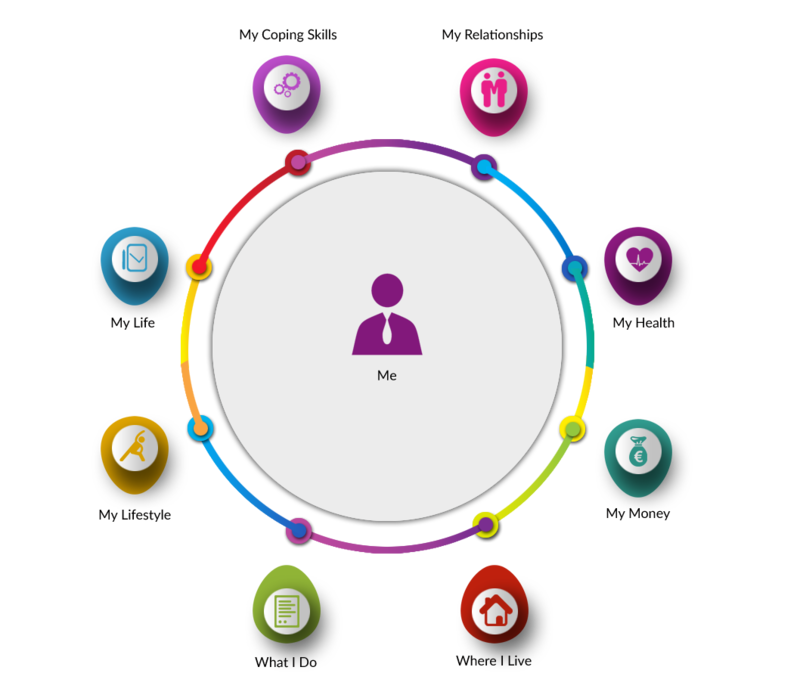 It is collaboration of various Sefton organisations which have the expertise and knowledge to share with you. As part of the service, there are a number of Living Well Mentors to talk to and they work with you on a one-to-one basis to identify health areas to see where small tweaks can be made but may have a big impact on improving your health. Such as: exercise, cooking and eating better, stopping smoking, coping better with stressful situations, help with debt and benefits, and more. 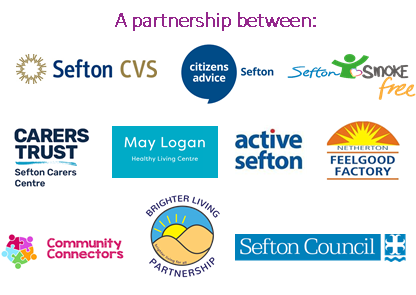 The Living Well Mentors are linked with some of our partners and these are: Brighter Living Partnership, Active Sefton, May Logan Centre, Stop Smoking Service, Feelgood Factory, and Citizens Advice Sefton. Our other partners are: Sefton Council’s Public Health team, Sefton Council for Voluntary Service (Sefton CVS), and Fun4Kidz. Our partners are here to support you and your family every step of the way. A Living Well Mentor will work with you to look at various areas of your life and support you to make positive changes to feel better about yourself. Together, we will look at the areas below and help you to make a start!